Description: Weekend retreat and entertaining paradise! 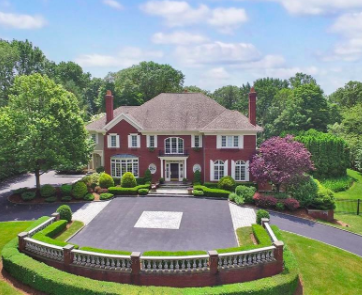 Elegant Georgian Colonial on 2 lush acres with luxury resort ambiance. High-end finishes throughout include 10-foot hand-painted ceilings, hardwood floors, Marvin windows and doors, and five fireplaces on three levels. The two-story marble center hall has a fountain and a wide curved staircase. The center of the home is an open and warm chef’s dream kitchen with coffered ceiling, fireplace, 2 islands, stainless steel appliances, 6 burner gas stove, double ovens, Subzero refrigerator, 2 dishwashers, ice maker, warming drawer, beverage refrigerator, and butler’s pantry with full-sized Northland freezer. Luxurious master bedroom suite includes a second room with a fireplace, wet bar, skylights, and technology ports for those chance work days from home. The master bedroom has a private balcony with big views. And, the large master bathroom includes a jacuzzi, double rain shower, private water closet with bidet, and a vanity. Four of the five bedrooms are en-suite. Big Sky is wired for technology, including a full-house generator, Lutron Lights, Aiphone door system, video security system, Nortel phone system, Sonos music system and central vacuum. The home sits on a cul-de-sac and has a level and private backyard with stone patios, gunite pool and spa, irrigation, and 8-foot deer fencing. The four-car garage is spacious for lots of gear! HOA is active and family friendly. Disability features included. Close to town, schools and NY border. Description: Country Club Living right in the heart of Newtown! Walk to shopping and entertainment from this exquisite compound at the end of Grand Place. 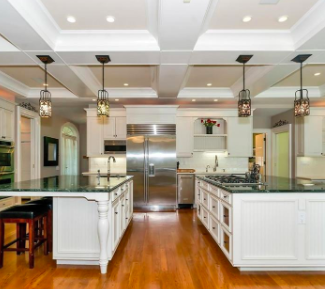 Beautifully updated center hall colonial features spectacular Klaff’s kitchen w/top-of-the-line everything! Electrolux double ovens, French door fridge, 5-burner gas cooktop. ML FR w/FPL. Bonus rm w/built-ins & skylights plus wet bar. Wonderful 3-season porch overlooks the 4.74 acre oasis. Luxurious master suite w/whirlpool tub and sep shower. 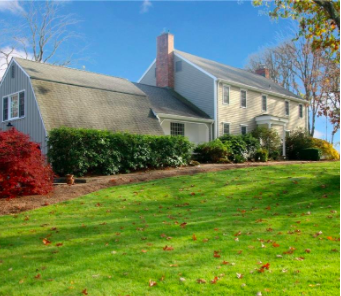 At-home recreation includes heated gunite pool & cabana w/full kitchen, Hard tru tennis court and extensive patio space. Detached 3-car gar boasts full, top quality 1-BR apartment and half court basketball facility w/heat & a/c. Description: Truly unique stand-alone unit in Quail Ridge complex. 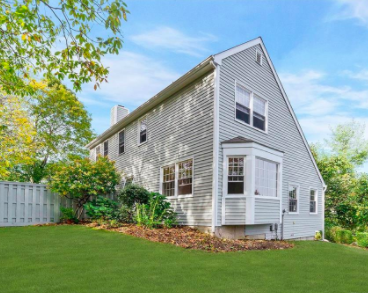 Split colonial style house with airy, spacious living and dining rooms featuring bay window with southeast exposure. Eat-in kitchen with dining peninsula adjoining the main level family room with fireplace. From the FR sliders, you have easy access to private courtyard with stone patio. Upstairs are two spacious bedrooms including the master suite. Both feature hardwood flooring and walk-in closets. The third bedroom/office is located up a separate stairway over the garage. And laundry is on the main level. Plenty of in the garage with bonus storage space and cedar closet for off season clothes storage. You simply must see this property!